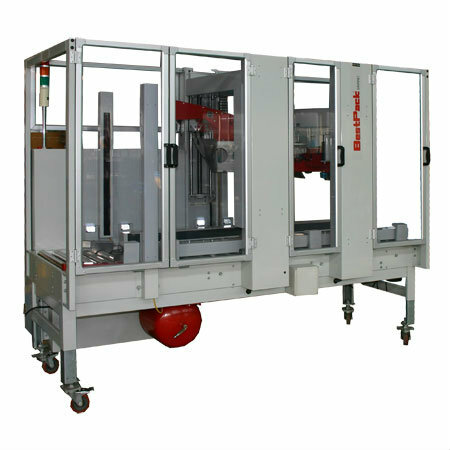 The NEW BestPack CSS SERIES Random Carton Sealer features our new servo driven technology that allows for smooth and quick height and width adjustment. Still using the unique design of three independent operating stations includes: a centering station, an index station, and a random sealing station. the CSS machine just got a lot faster. Because of the unique design and implementation of servo driven motors, recycle time of the machine is reduced. This reduction time greatly increases carton output from 8-12 cartons to 16-22 cartons per minute.